In our mission to track down Varesh, the trail leads us back to Kourna. 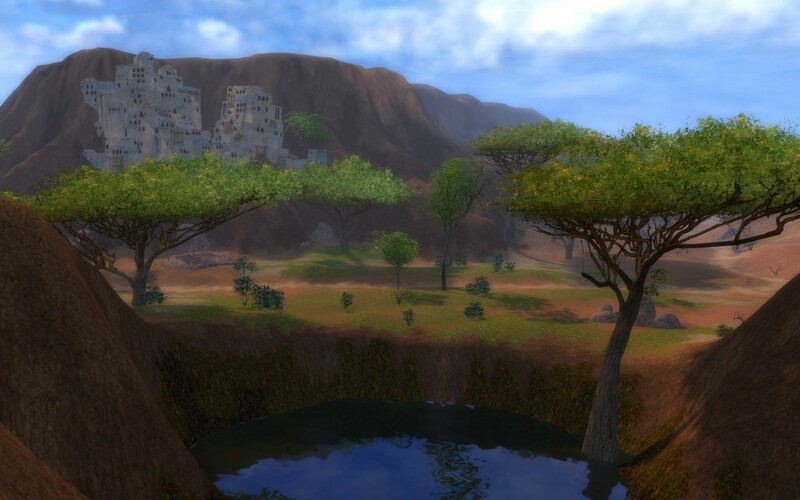 Kormir has been having terrible visions and felt compelled to visit the monument commemorating the Battle of Jahai. As we approached it, she trembled and screamed before disappearing into a portal of darkness. The ancient corpse of Palawa Joko then rose from the monument and thanked us for freeing him. We made a bargain with him to tell us how we might get through the sulphurous wasteland know as the Desolation. He revealed to us the secret to controlling and riding the Junundu Wurms of the sulfurous wastes! I must say, it is quite the experience. For today, I will be exploring the lands that approach the Gates of Desolation. 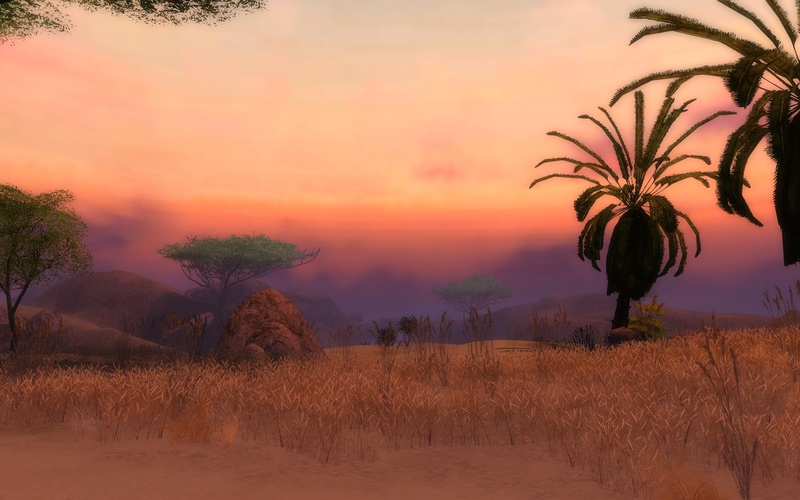 Here in Turai’s Procession, is the ancestral home of the Elonian centaurs. Two elementalists, Rajas and Ikk will be joining me on today’s exploration. After my journey through Moddok Crevice and arrival in Vabbi, I’ve bought some more time to explore the areas I passed through. Of course Varesh’s guards prepared for us and staged an ambush at the end of Bahdok Caverns. What I found surprising was the presence of “the Hunger”: a large demonic being. General Bayel and the beast tried to block entry to Vabbi, but we overpowered them. I don’t know why, but Varesh hasn’t taken us seriously since the initial invasion of Gandara. All of the foes I’ve had to face were never enough to halt my movement across Elona. Perhaps she is just trying to delay us while she focuses her energy elsewhere. 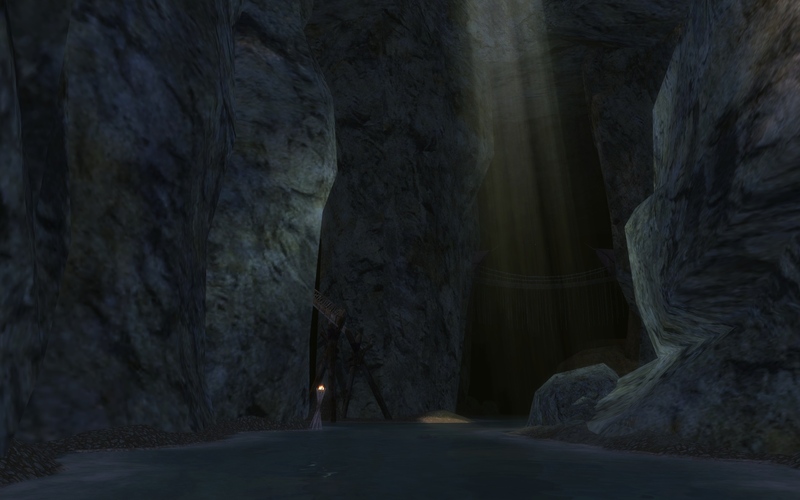 For now, I will be re-examining the Bahdok Caverns with my old friend Rajas I., an Elonian Elementalist. While others prefer to rush ahead and spend their free time “farming” money. I enjoy retracing my steps and learning more about the land, its people, and our enemies. Since visiting Gandara, the Moon Fortress and the Barbarous Shore, it has become more difficult to have a moment of peace. While I was freeing Kormir in Gandara, another set of adventurers aided Master of Whispers in this area. A demonic creature named the Drought was corrupting the Elon river. After it was located deep within the waterworks, we have been tasked with finding a way into Vabbi. I’ve yet to explore all of Kourna, but I must push on and put an end to Varesh’s plans. Luckily I have a few hours before we delve into Moddok Crevice, so Elwin, Ikk and I are going to explore the Floodplain of Mahnkelon. As we walked out the gates of Kodonur Crossroads, we noticed some “Kournan apartments” that were carved into the mountain above us. Only my closest friends trust me when I say that I’m only exploring enemy territory just to have a look around. I don’t intend on drawing attention wherever I go, but the smugglers in Camp Hojanu are very suspicious. They might be willing to look the other way if you give them some gold pieces, but once they learn that you’re a famed adventurer they will just keep asking for more gold. I left the outpost with my friends Elwin and Ikk to avoid raising any more attention.